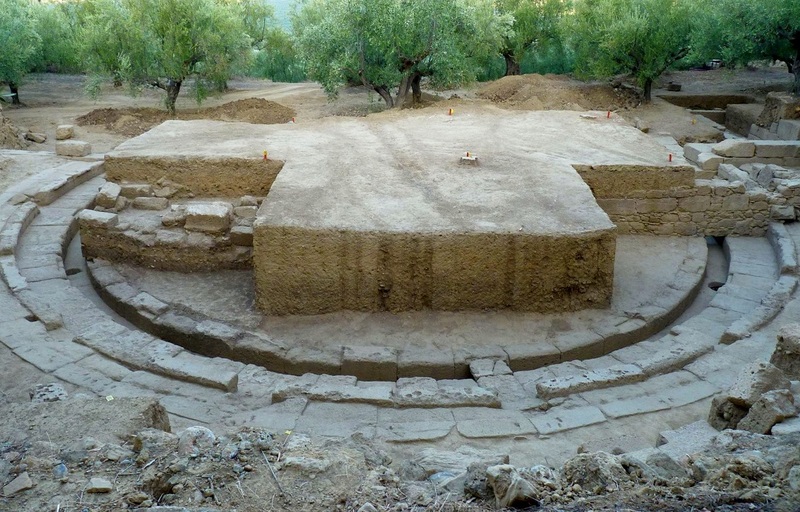 A large part of the ancient theater of Thouria, located in Messinia in the Peloponnese, was recently unearthed during excavation works by Greek archaeologists. The perimeter of the ancient theater’s orchestra, which is 16.3 meters long, was brought to light in summer 2017, along with the first row of seats and a rainwater pipe surrounding the orchestra, the culture ministry said in an announcement. Archaeologists also unearthed the lower part of the hollow, which included fragments of the theater’s upper seats, as well as five rows with many seats intact on the southern side of the hollow. 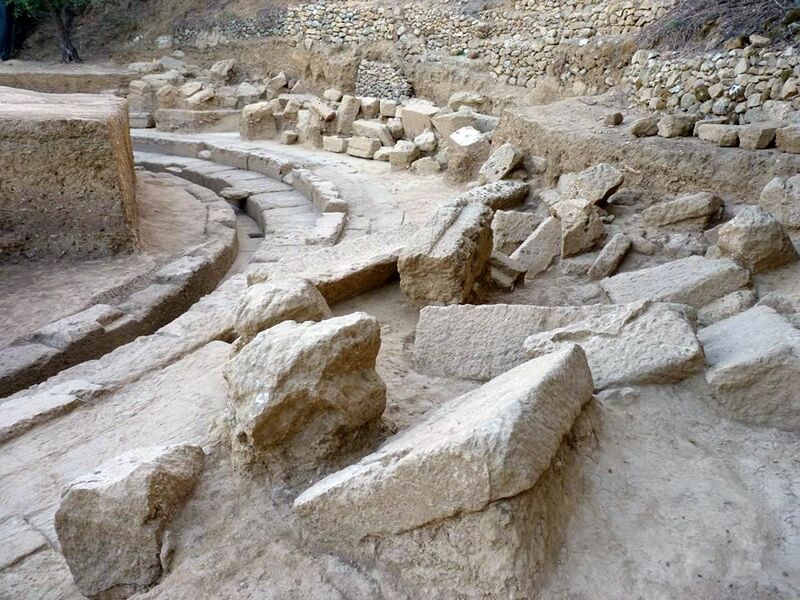 Furthermore, excavations revealed part of the theater’s southern entrance and part of the exterior, which includes three parallel stone grooves that were used for the wheels of the theater’s movable scenery. According to media reports, the theater dates back to the 4th century BC. The excavation works were conducted under the direction of archaeologist Xeni Arapogianni and under the auspices of the Archaeological Society of Athens.